According to a new assessment from ESA’s CryoSat spacecraft, Antarctica is now losing 159 billion tonnes of ice a year to the ocean – twice as much as when the continent was last surveyed. The CryoSat spacecraft has a radar instrument specifically designed to measure the shape of the ice sheet. 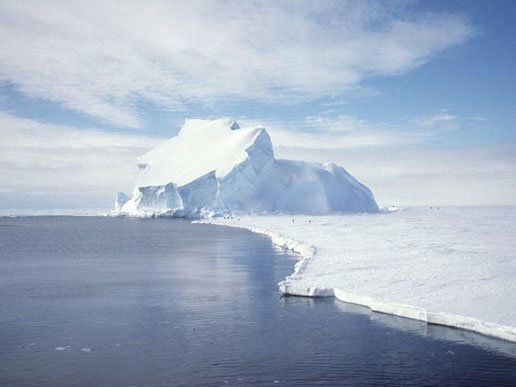 The melt loss from the White Continent is sufficient to push up global sea levels by around 0.43 mm per year. Scientists report the data in the journal Geophysical Research Letters. The new study incorporates three years of measurements from 2010 to 2013, and updates a synthesis of observations made by other satellites over the period 2005 to 2010. CryoSat has been using its altimeter to trace changes in the height of the ice sheet – as it gains mass through snowfall, and loses mass through melting. The study authors divide the continent into three sectors – the West Antarctic, the East Antarctic, and the Antarctic Peninsula, which is the long finger of land reaching up to South America. Overall, CryoSat finds all three regions to be losing ice, with the average elevation of the full ice sheet falling annually by almost 2cm. In the three sectors, this equates to losses of 134 billion tonnes, 3 billion tonnes, and 23 billion tonnes of ice per year, respectively. The East had been gaining ice in the previous study period, boosted by some exceptional snowfall, but it is now seen as broadly static in the new survey. As expected, it is the western ice sheet that dominates the reductions. Scientists have long considered it to be the most vulnerable to melting. It has an area, called the Amundsen Sea Embayment, where six huge glaciers are currently undergoing a rapid retreat – all of them being eroded by the influx of warm ocean waters that scientists say are being drawn towards the continent by stronger winds whipped up by a changing climate. About 90% of the mass loss from the West Antarctic Ice Sheet is going from just these few ice streams. At one of them – Smith Glacier – CrysoSat sees the surface lowering by 9 m per year.